...just a few hawthorn berries left. 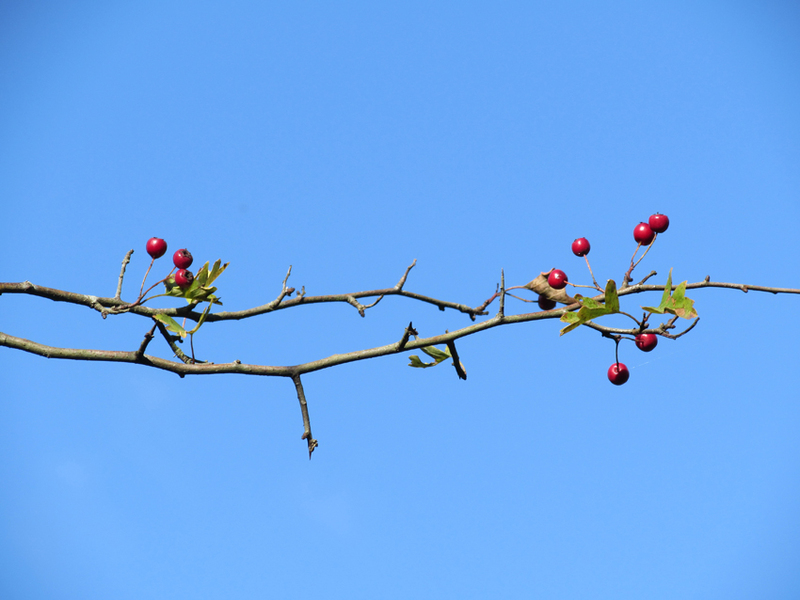 I think the contrast between the "thorny-looking" branches and the cheerfully red berries (and the brilliant blue sky) makes the photo very special. When there are more dreary days than anything else, sights like these are happily welcomed in winter.